How you should look if you ever reach this crowdfunding milestone. Putting aside the ‘real’ science comments (what is Ecology, chopped liver?) and the whole misconception that crowdfunding science, even at low levels, has no additional benefits (to be mercenary – one benefit of small cash now is bigger cash later as you build your audience, or preliminary data for big cash at NSF/NIH), is this really true? Jai and I have always maintained that science crowdfunding would follow the same model as the arts and technology. We’d start small. And after 2-4 years, we’d start to see the hundreds of thousands to millions of dollars projects becoming successful. And now, I feel pretty confident in saying, WE WERE RIGHT! Because we’re seeing the first science crowdfunding project to hit ONE MILLION DOLLARS! 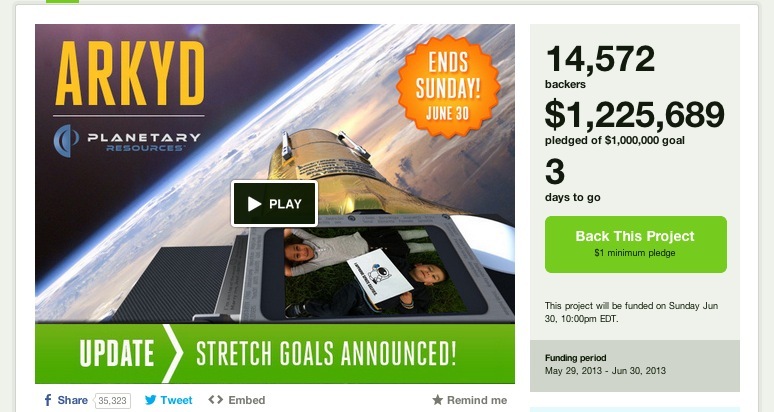 ARKYD: A space telescope for everyone has well surpassed $1 million. 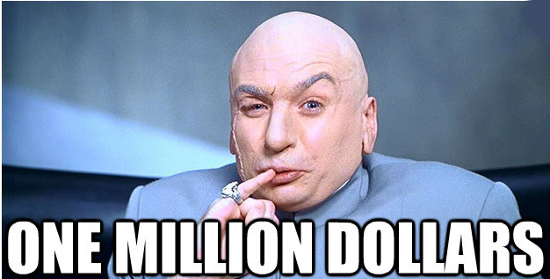 As of writing, they’re at $1,225,418. Yep – big science infrastructure building – that thing that the haters at /. and other places said could never be done, has indeed been done. Is it being done by an group that has spent a *lot* of time building up a public presence and an audience for their work – the very things that we think are essential for successful science crowdfunding (and public science education)? You betcha. Effort and citizen engagement *worked*. Heck, they’re not stopping there, but if they reach their new goal, they are going to take images from the telescope and partner with the citizen science juggernaut Zooniverse to deliver that data back to *you* to involve you even further in new cool science. It is so made of win. So, a HUGE milestone for science crowdfunding. Head on over and check out the project. Previous ONS Course – Module 4: Expanding the open notebook.